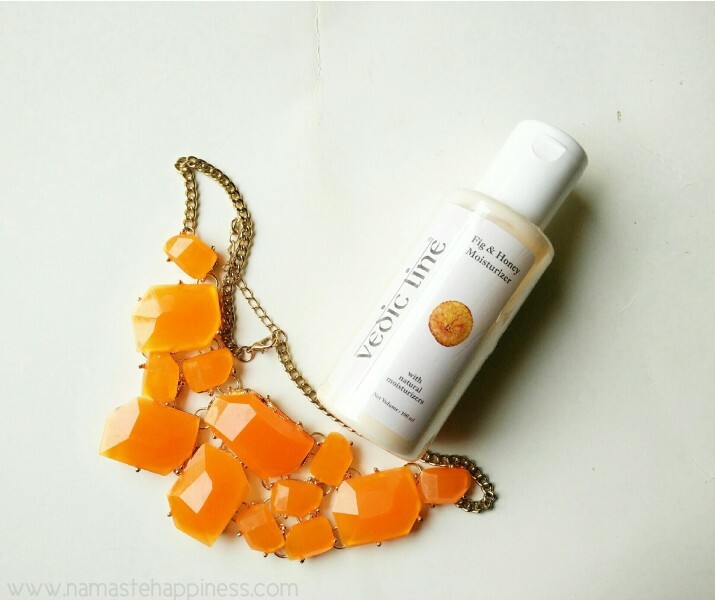 Featuring our first organic beauty product on the Namaste Happiness blog – Vedic Line Fig and Honey Moisturizer review. Vedicline products are based on Ayurvedic Science for treatment and regeneration of skin and hair. I am totally impressed by their philosophy, which is activating the body to help itself so that healing and correction takes place from within. Now, that’s what beauty products should be all about. They should be able to help you feel good about yourself instead of making you fix things. They should trigger happy emotions while embracing your body the way it is. We as women love to indulge in cosmetics and what better than organic and natural self-care substances. I love to go for chemical free things as much as possible and relish self-love in the most rich and authentic manner. I am a major fan of ayurvedic, herbal or organic things hence I bring you the first most significant product we start our day with, a good moisturizer. No matter what skin type, a moisturizer is a must to keep your skin soft and supple. Moisturizing regularly is vital for keeping your skin younger, blemish-free and healthier. Our skin regenerates new cells everyday and moisturizing daily plays a great role in that process. 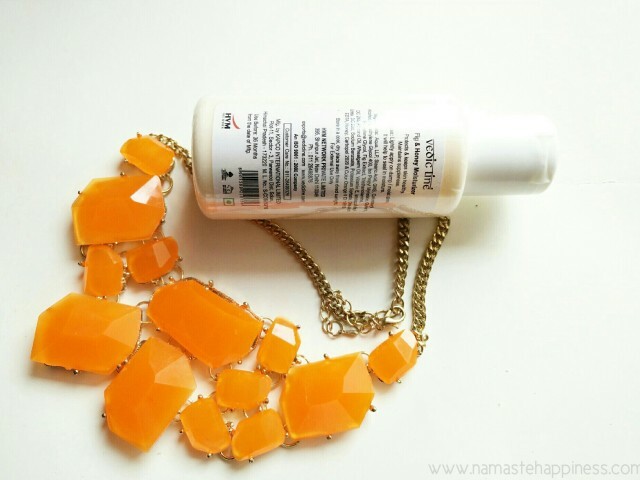 The fig and honey moisturizer by Vedic Line comes in a very simple and handy bottle. No sharp edges, easy to use and carry along. It has a very decent and sophisticated look as most of the natural products. But as soon as you open the cap it will take you into a completely different journey. The combination of fig and honey is an amazing one and the smell has its own exquisite aura. It is so so so good! The moisturizer is cream in color and is very soft. It can be applied and massaged on face and neck very easily. The cream is not very thick or oily hence if you have a very dry skin this won’t work for you. But for normal skin types, its a go to one. You will love rubbing your fingers on face with this beautiful moisturizer. It has a balanced tone, not too runny not too thick. It transmits a feeling of freshness and rejuvenation. You will experience a radiant face without any greasiness. It soaks in the skin very easily. Final take-away – Vedic Line Fig and Honey Moisturizer is an affordable light moisturizer without a nose blocking fragrance. It will give a good feeling, absorb in your skin easily, happy and rich organic product, not apt for very dry skin, soft in texture and portable. Amazing for the ones with normal skin and loves organic! 5 Reasons To Go For Inner Engineering Course With Isha Foundation!